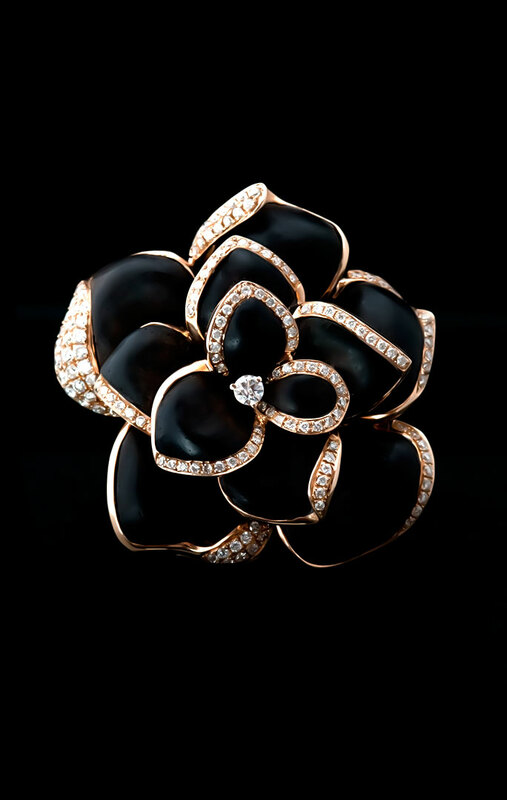 The black flower is a sign of something mystic, new, and unconventional, rather intense and powerful. From olden times, ebony has been thought to be a unique bearer of magic properties, to possess unique ability in curing diseases, resisting poisons, bringing luck, and warding off evil spirits. Gold-mounted diamonds are particularly energetic and enable to enjoy a happy fortune. © 2015 MagicLi - Magic Jewelry by MagicLi.